« Rallies, and More Importantly, Ridin’! 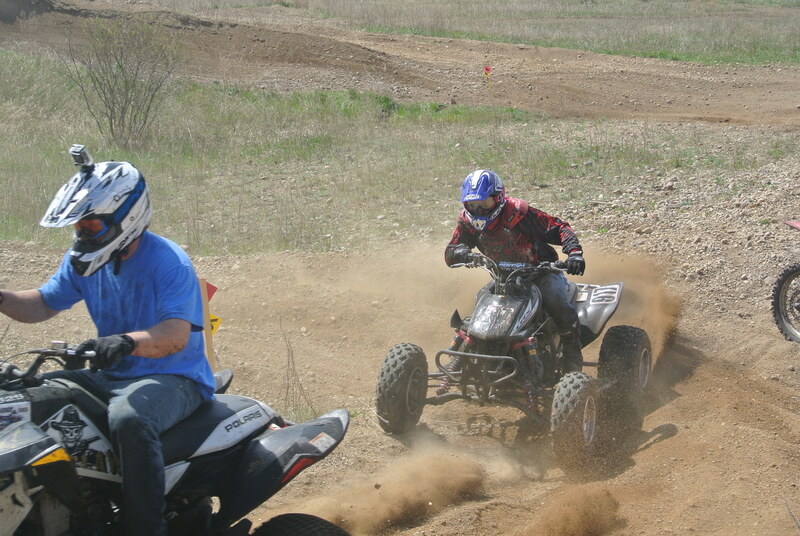 Off Road Poker Run? Why Not! We “think different” out here on the Buffalo Ridge, coming up with creative solutions for everyday and not so everyday problems. So a few years back the Glacial Lakes Motorcycle Club (www.glmc.org) was founded for those of us that live out here in the middle of somewhere and enjoy riding around here. Then they came upon a nice riding area which happened to be an abandoned gravel pit and creatively got a small state grant to buy it and add a shelter and loo. 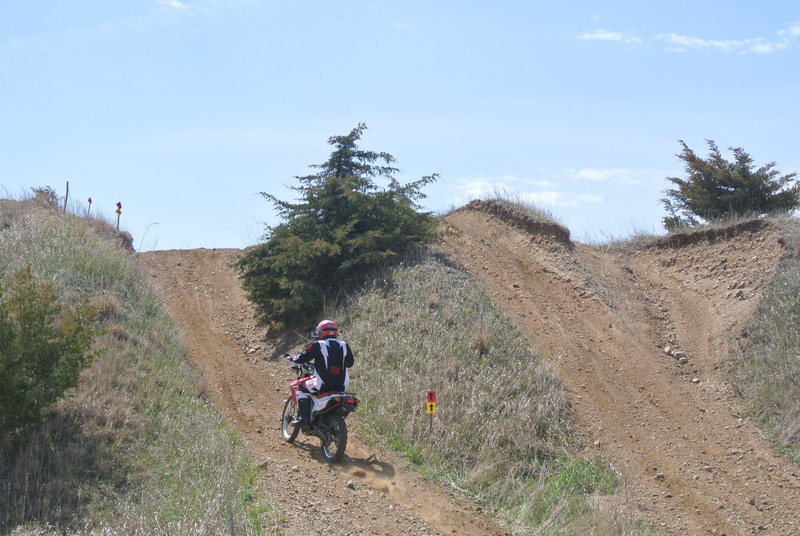 And out here in these thinly populated parts we’ve got not that many riders with a diversity of interests- dual sport, motocross, trail riding, even ATVers… How do you please all of them? 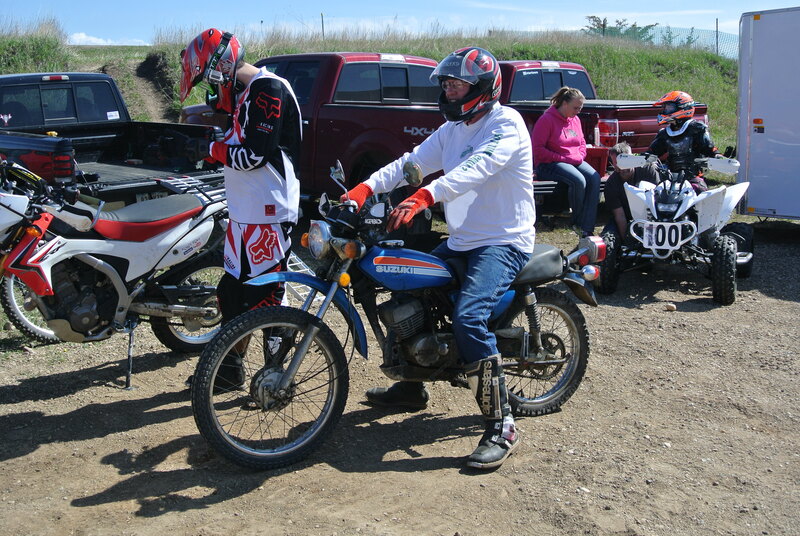 The solution was the “Off Road Poker Run”, a low key event where young and old and those fast people in between can plunk around or race to their heart’s content. 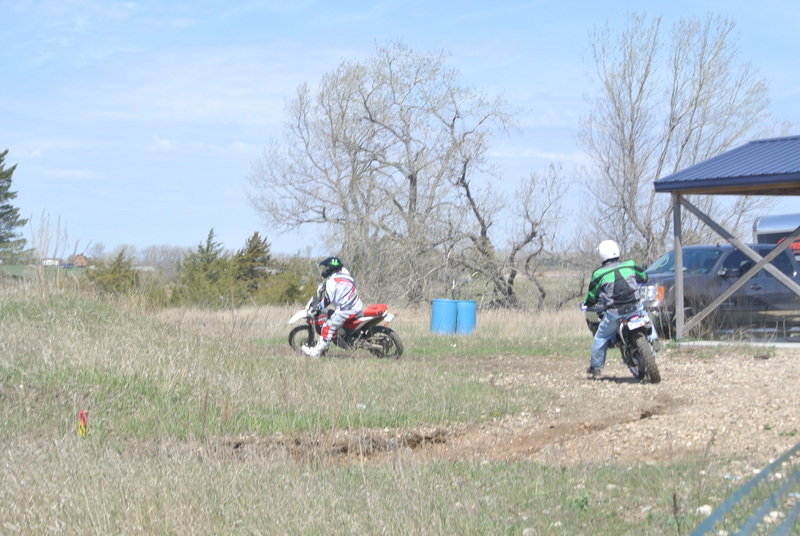 Yup, those are license plates on those bikes… Looked to be a half dozen or so riders on street legal dual sport bikes. 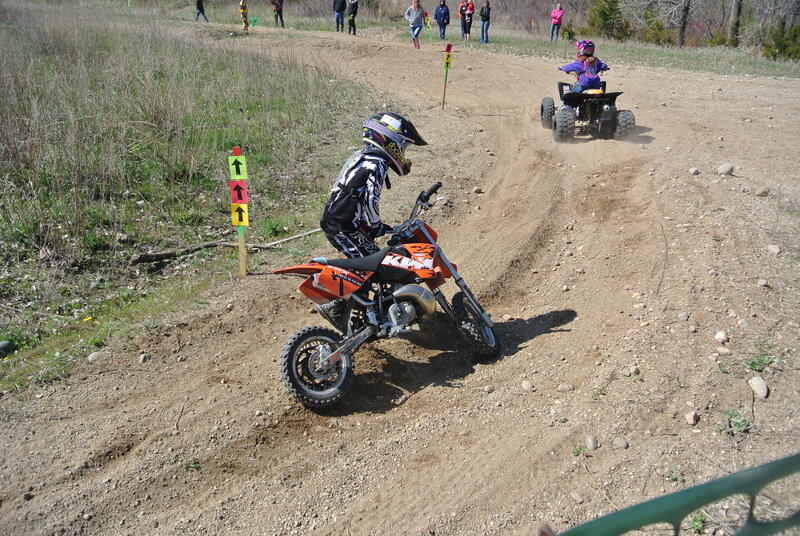 ‘Twas a pretty “technical” and downright rugged course too, with the exception of the loop used for the kid’s event. This hill and a couple others were the downfall of more than a few riders, and even the best riders took 6 minutes to turn a two mile lap, for a 20 MPH average speed. Though I’ve heard the course has been ridden on a 650 single, 125 to 250 ccs. seems to be the optimum size for this course. 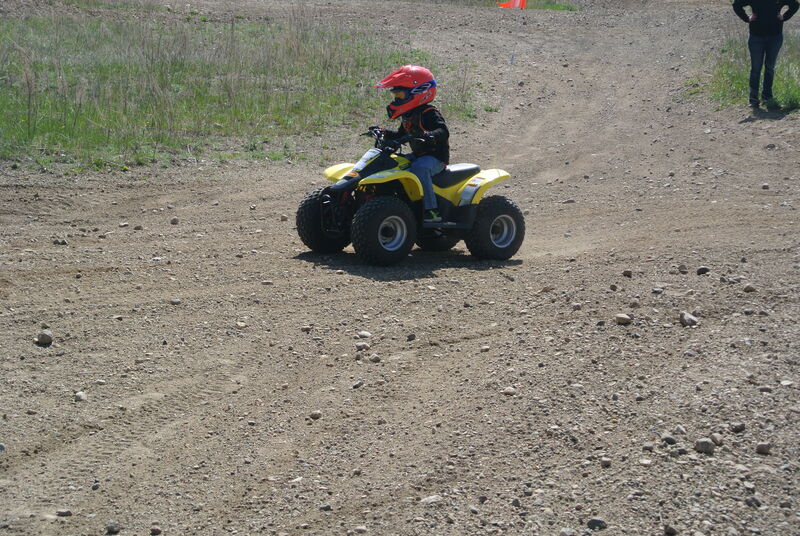 And yes, they let the quads race with the bikes… Like I said, we “think different” here! 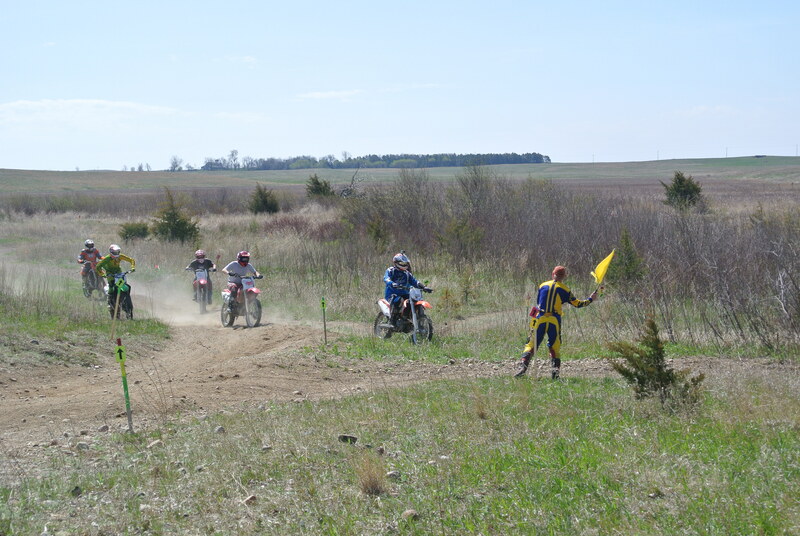 Some tough but fun riding, $3 gets you in the gate, and another $3 gets you a brat… What’s not to like?